Notice how this customer's decorator first chose a beautiful patterned fabric for the seat cushions, and lip, of this beautiful cane back/arm sofa. She then requested pillows of different shapes and sizes be made from coordinating fabrics of different colors and textures. 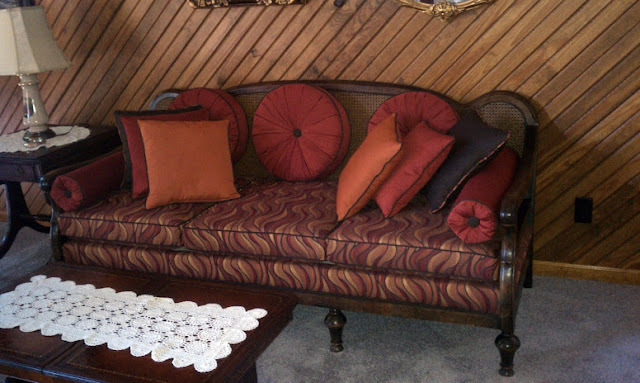 The pillows were then trimmed with brown welting, pleats and buttons to add interest and richness. Anyone can match and coordinate colors and textures this way. Our swatch catalogs often show groupings put together by professional designers.